160 tickets sold – $578 raised! We are dedicating this years quilt to our beloved pets. We are connected to our pets in a very special way, they bring joy, love, and comfort to our lives, and although their time with us is far too short, they will forever live on in our hearts. We have named it “FOREVER“. 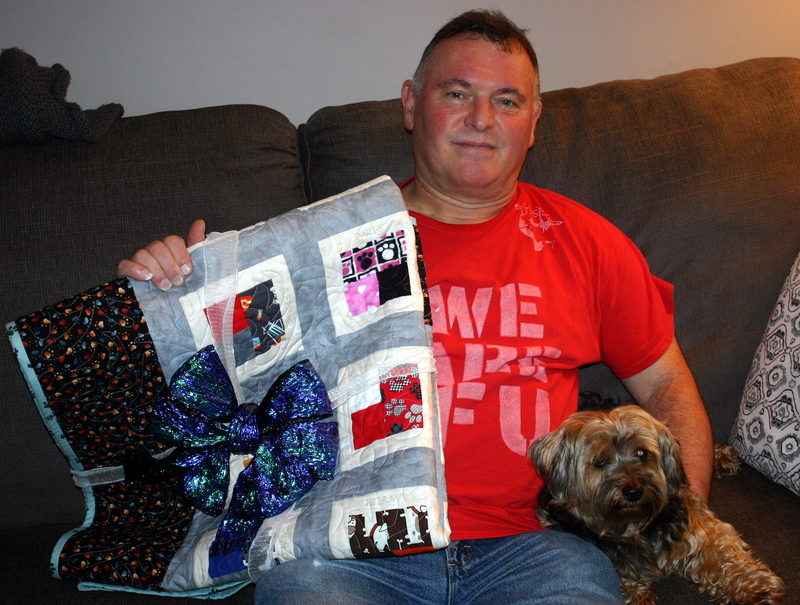 We have an emotional connection to our anniversary quilts, it is our way of sharing our journey with you. It is hard to believe we are coming up on our 3rd Anniversary and we are excited to reveal this years creation, it is always a labour of love for us. 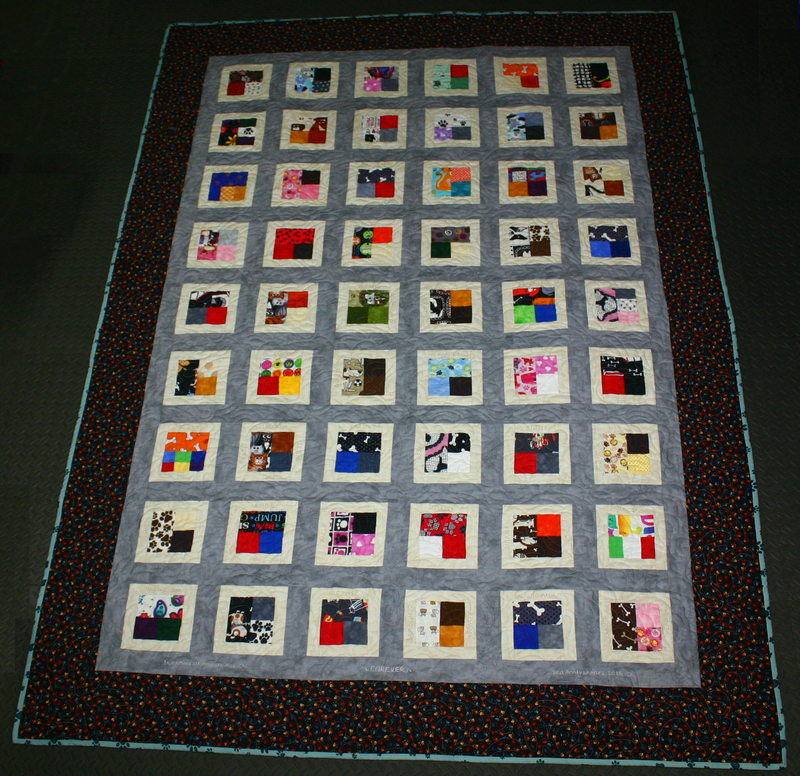 We had a great year and as always fabrics and names are included in the quilt. We will once again, raffle it off on October 11, which is the anniversary of Maggie’s crossing over the rainbow bridge. We would like to send a special thank-you to Tammy Howard of Sugar Town Quilting Co, in Cranbrook for donating her time and cost to professionally quilt our creation. She has quilted all of our anniversary quilts for us and we just can’t thank her enough for her love and support of our cause! Our goal is to raise $500+ for the “Maggie May Fund”.